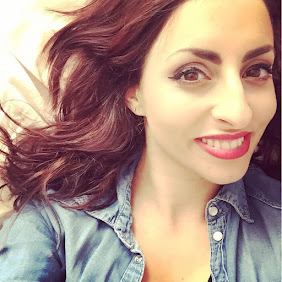 Todays look is inspired by spiderman! 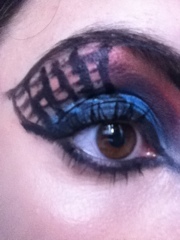 Dont think its the best I could have done as didnt have a thin enough brush for the spiderweb! But there we go! So I used my MUA blue shade as a base and the darker shade in my crease. 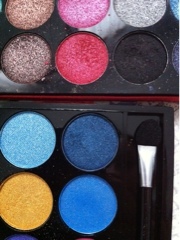 I then applied a red from my Accessorize palette for below my eyebrow. 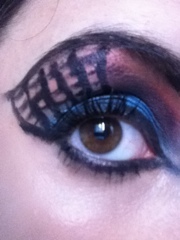 I drew lines to resemble a spiderweb using my gel liner, also defining my lower lash line. Lashings of mascara and gel liner to fill in my brow complete the look. This one looks so awesome! Great job hun!